The Maryland Jockey Club announced today that Sagamore Spirit has been named sponsor of the $300,000 Pimlico Special (G3), to be run Friday, May 20, and the $150,000 Maryland Sprint (G3), to be run Saturday, May 21. In conjunction with Sagamore Racing, Sagamore Spirit will present a check to Thoroughbred Aftercare Alliance in the winner's circle on Preakness Day in the amount of $50,000. The Sagamore Spirit Pimlico Special is for 3-year-olds and up at 1 3/16 mile. Introduced in 1937 by Alfred G. Vanderbilt Jr., former president of Pimlico Race Course and Sagamore Farm, the Special has played host to many of racing's biggest stars including Cigar, War Admiral, Seabiscuit, Citation, Invasor, Skip Away and Whirlaway. The Sagamore Spirit Maryland Sprint, for 3-year-olds and up at six furlongs, was won last year by a 4-year-old gelded son of War Pass, Sandbar. Sagamore Spirit Straight Rye Whiskey is an American whiskey with a unique mash bill and proofing process. 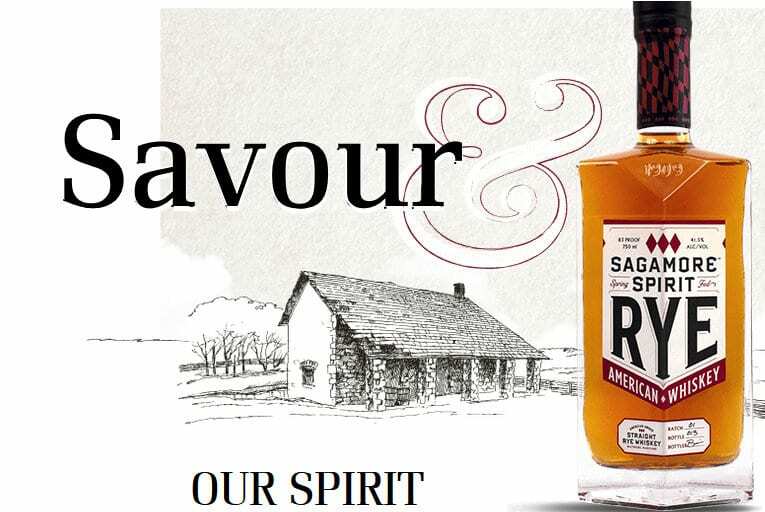 The distilling team blends two different straight rye whiskies – a high rye and a low rye – and then adds spring-fed water, from Kevin Plank's Sagamore Farm, to create an 83 proof Maryland-style rye whiskey. Sagamore drives this water 22 miles from the limestone spring at Sagamore Farm to their bottling facility at City Garage in Port Covington. 100 percent of Sagamore Rye is cut to proof with this distinct water. This entry was posted in The Biz and tagged jimmy bell, Maryland Jockey Club, Maryland Sprint, pimlico, Pimlico Special, sagamore spirit, sal sinatra, Thoroughbred Aftercare Alliance by Press Release. Bookmark the permalink.